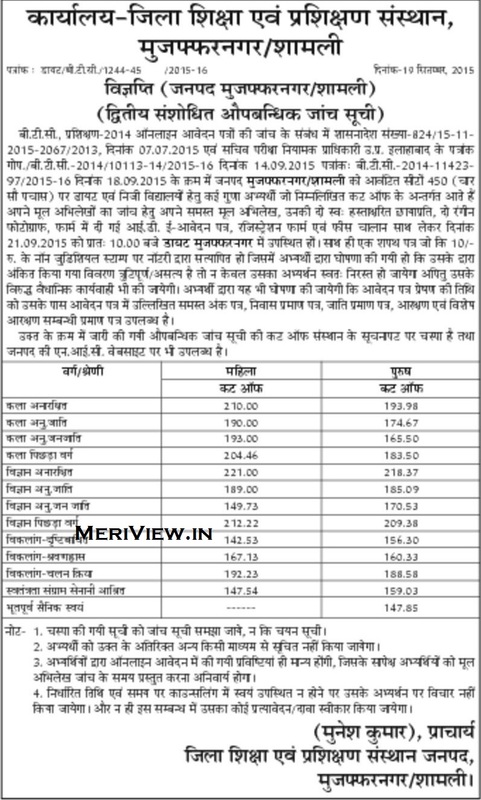 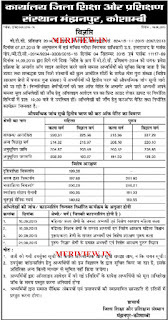 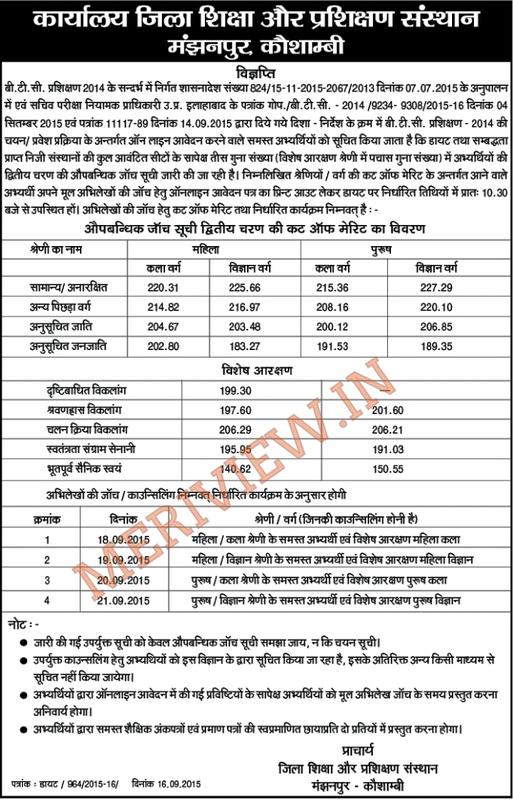 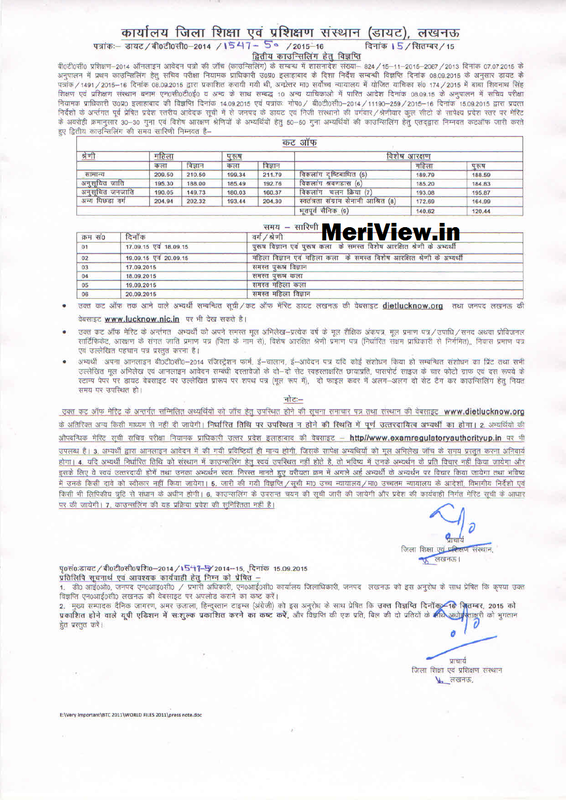 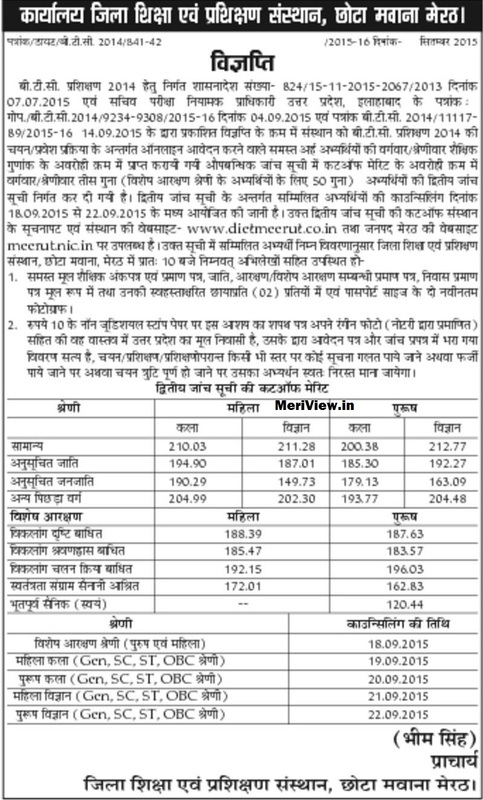 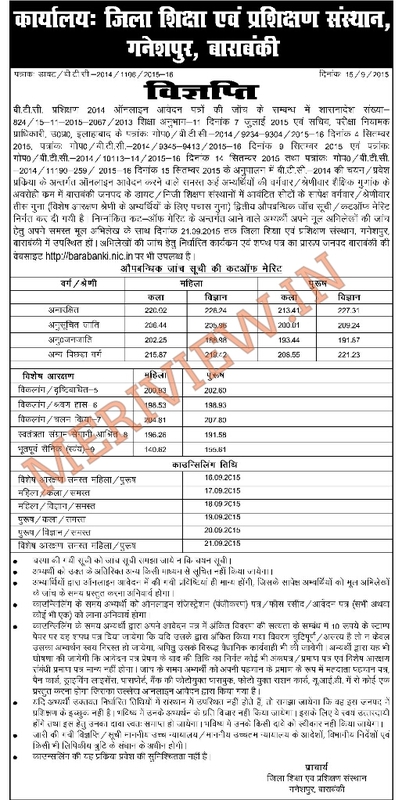 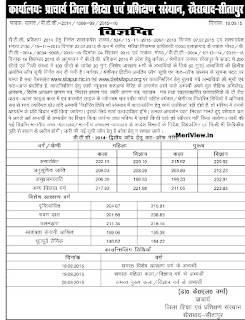 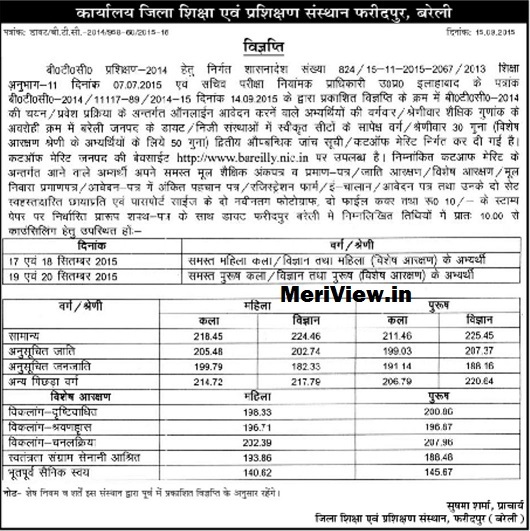 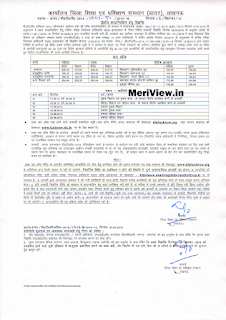 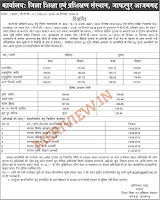 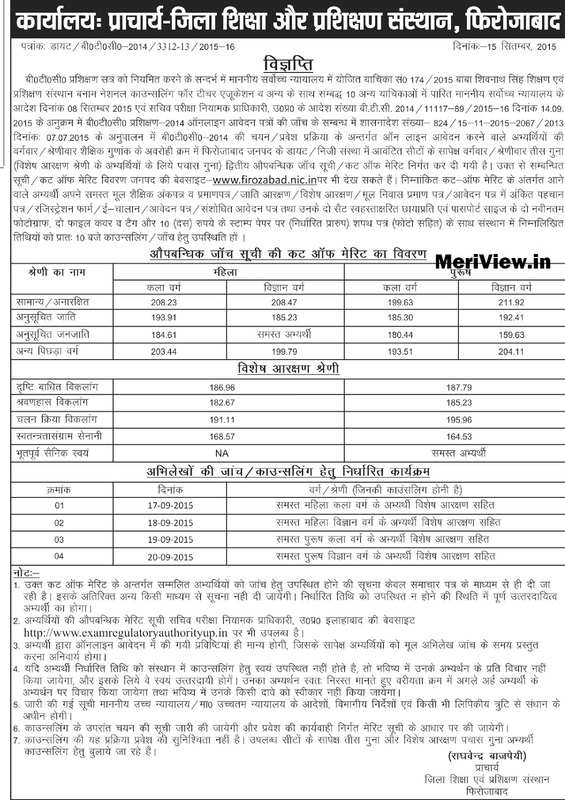 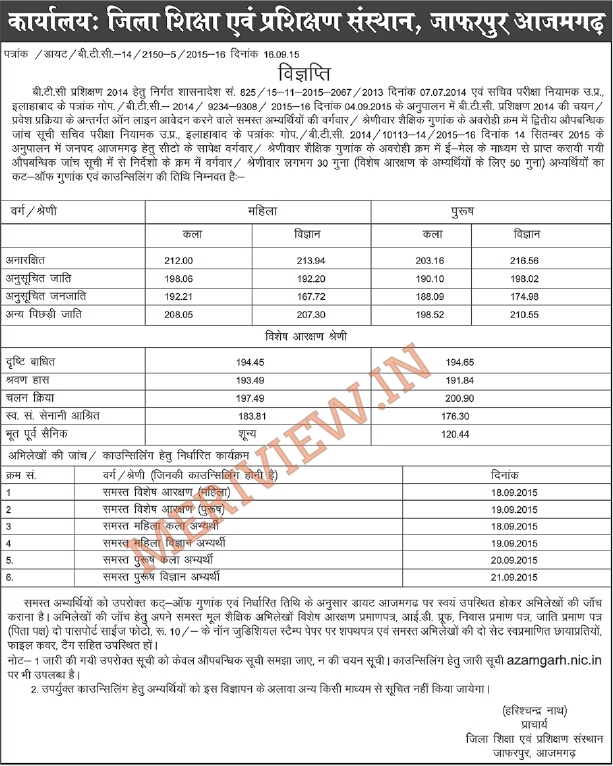 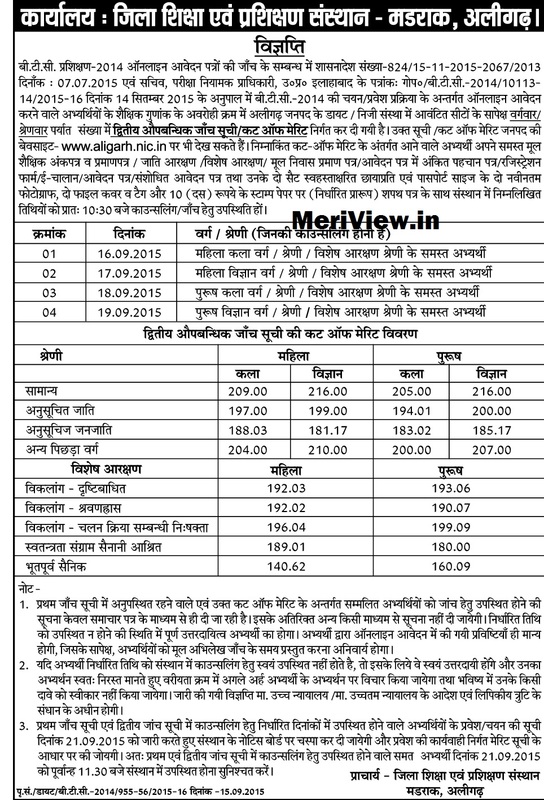 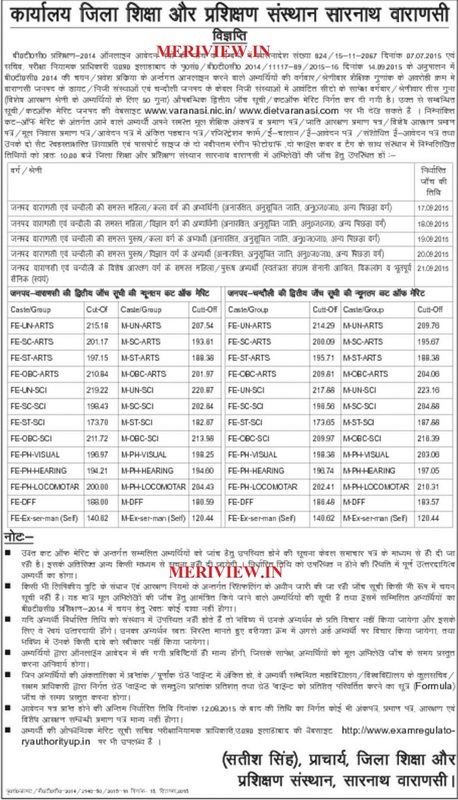 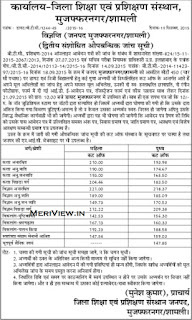 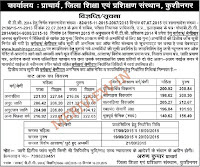 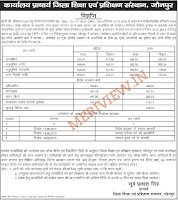 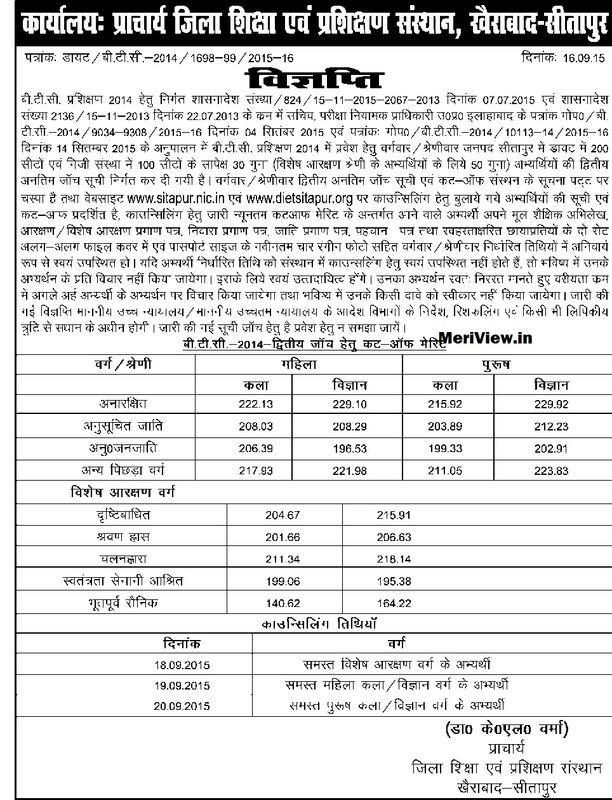 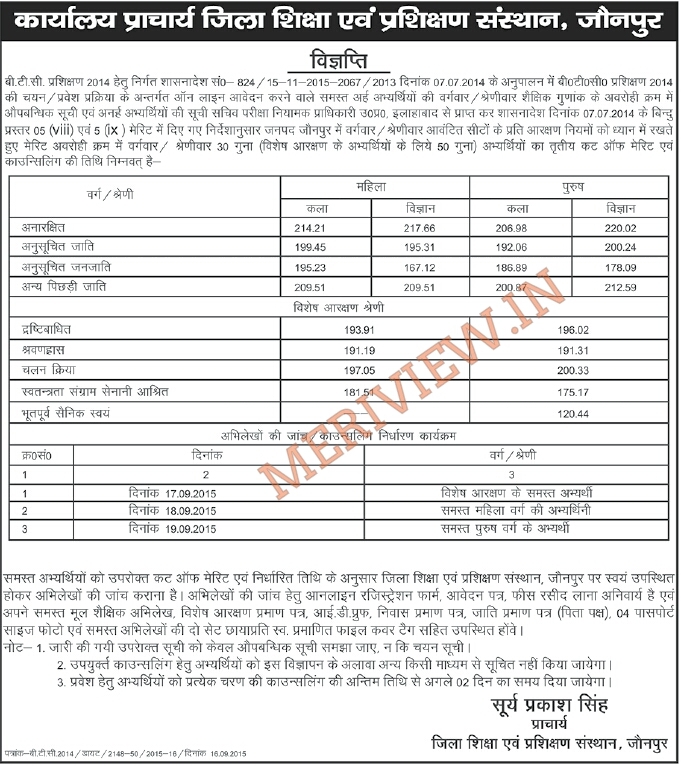 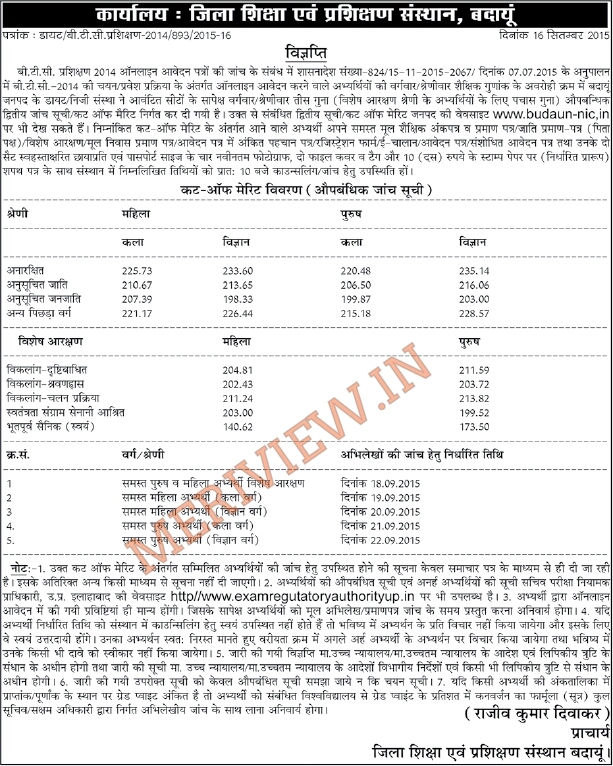 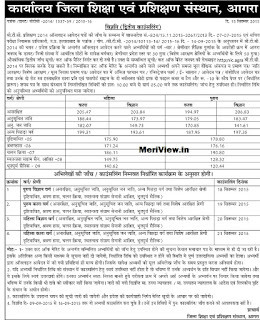 UP BTC 2014 2nd Merit list Cut off Check UP BTC 2014 2nd Cut off - Check UP BTC 2015 2nd Merit list Cut Off UP BTC 2015 Admission application form upbasiceduboard.gov.inUP Basic Education Board had released the 2nd cut off for admission to UP BTC 2014. 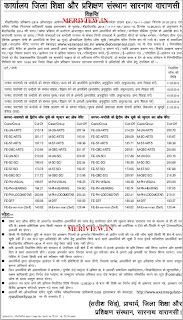 It can be checked from below given links / images. 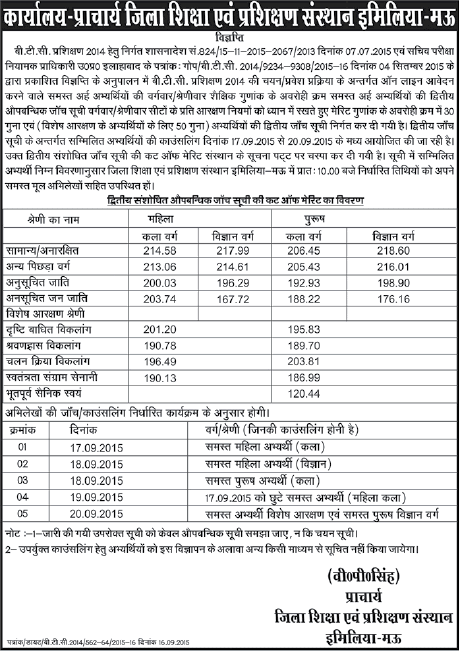 Training of selected candidates is going to start from 22 September 2015. 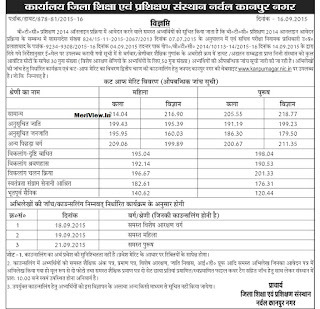 Earlier the board had invited applications for admission to the course. 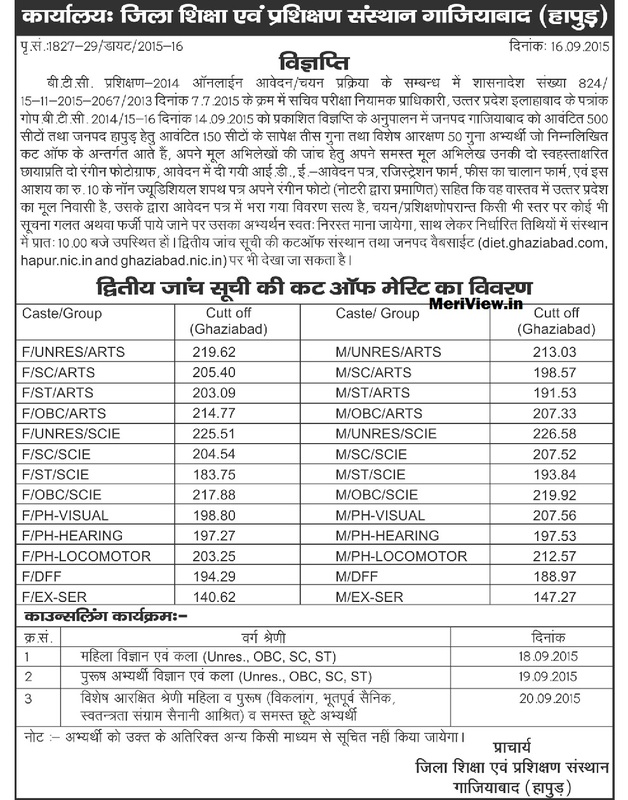 There are a thousands of seats in various Govt & Private institutions. 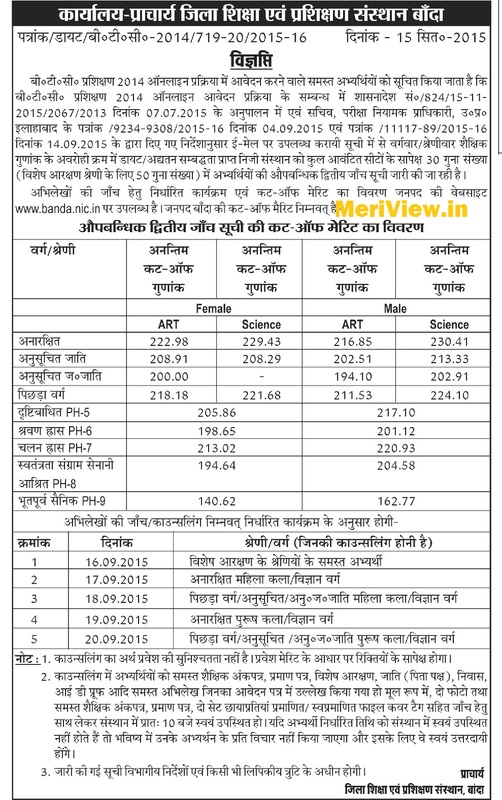 Those candidates who had applied, can check the 2nd Merit list cut off from here after release. 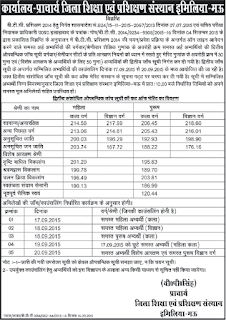 The admission will be done on the basis of merit through counselling. 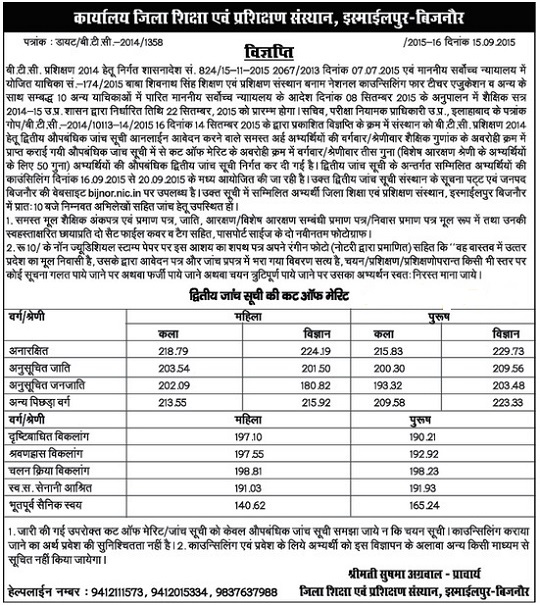 There are a many number of vacant seats in govt &amp; private colleges. 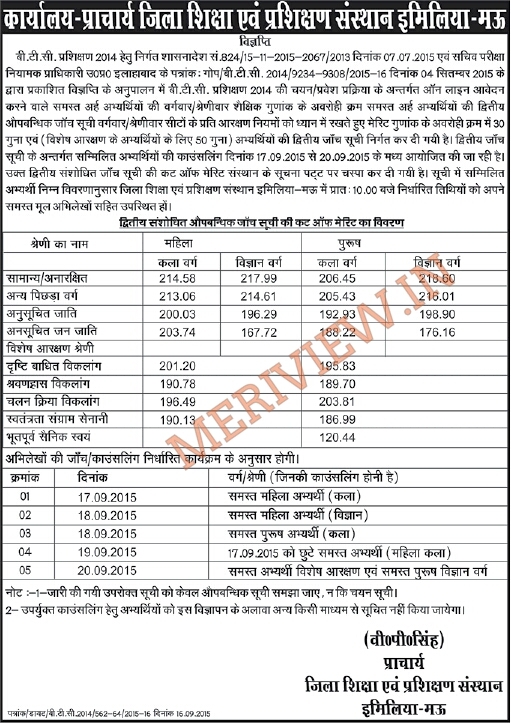 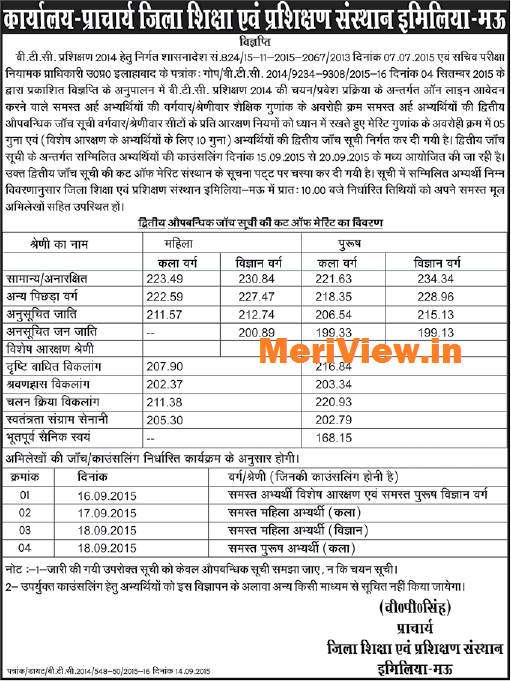 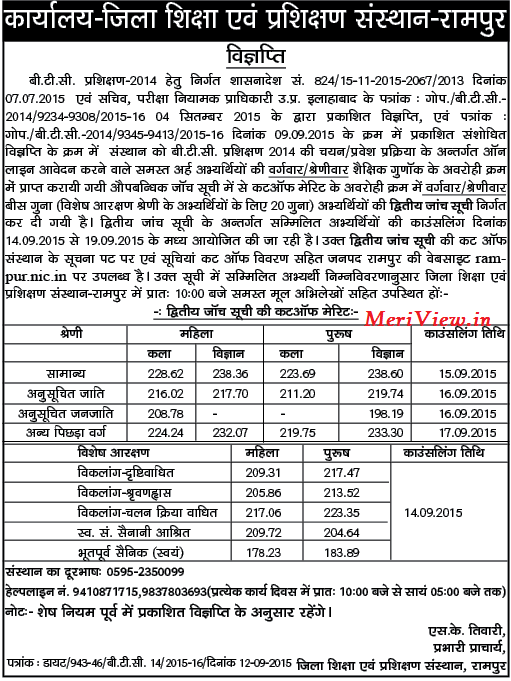 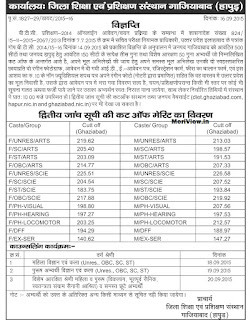 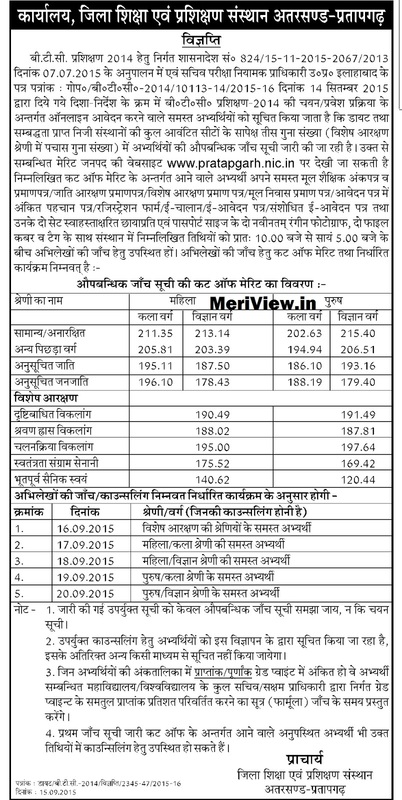 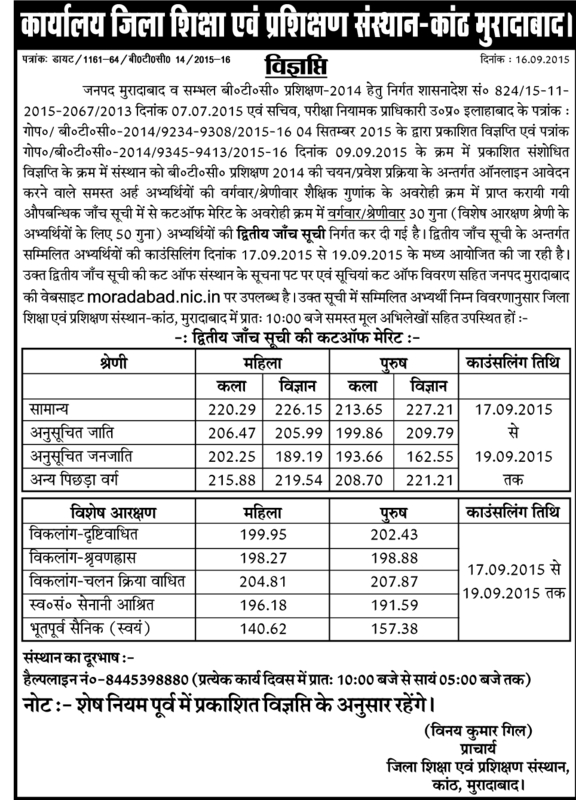 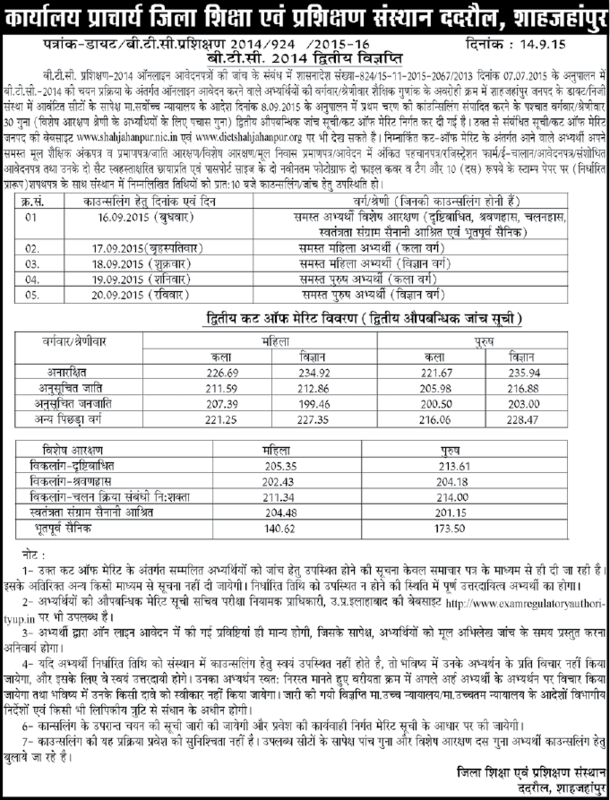 UP Basic Edu Board will release the 2nd Merit list cut off district-wise. 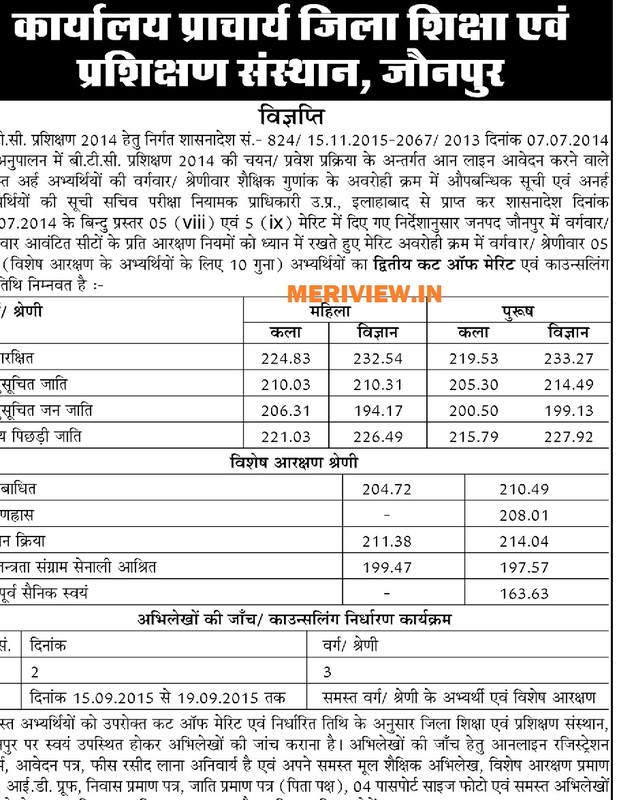 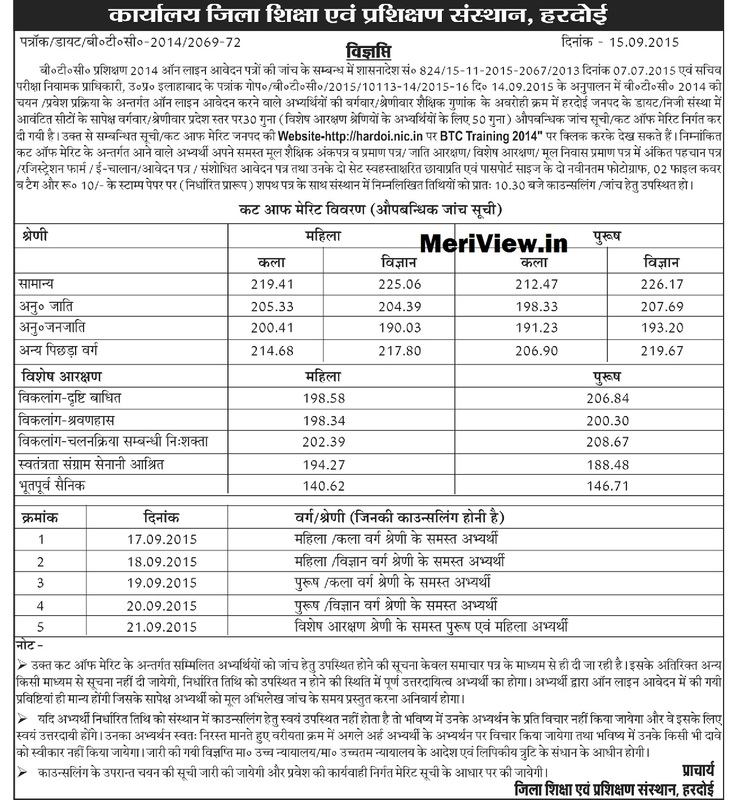 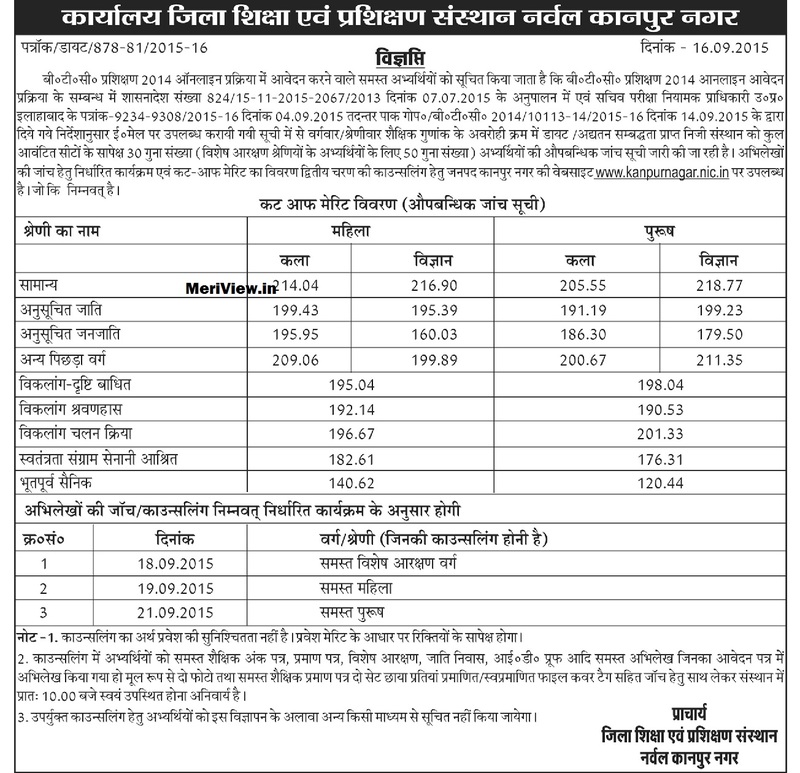 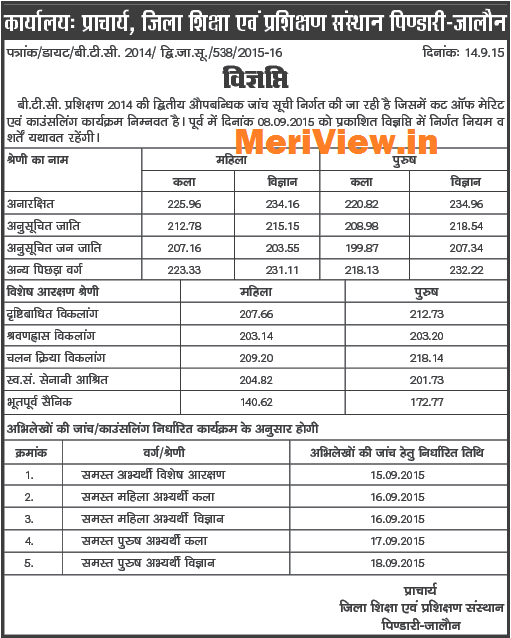 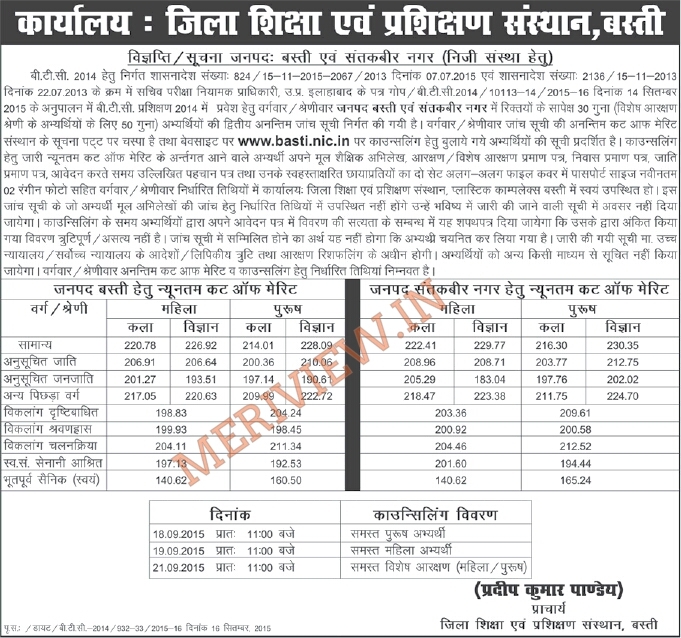 Candidates can check UP BTC 2nd Merit list 2014 2015 / Cut off from here after release. 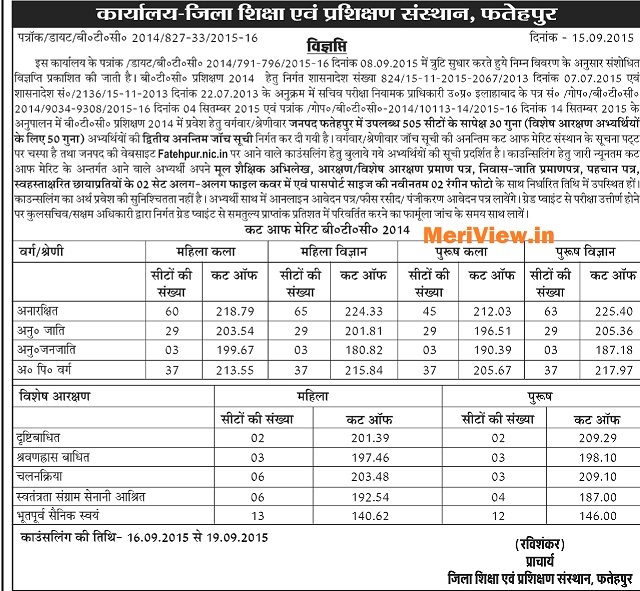 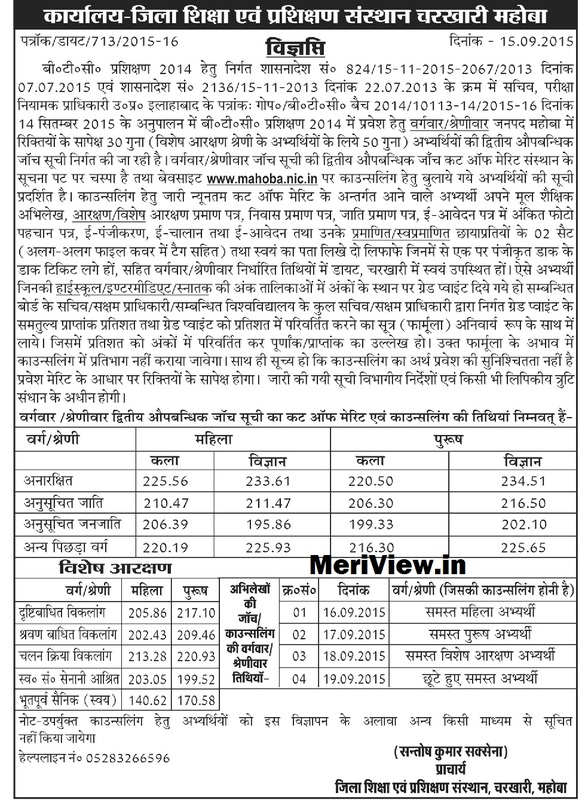 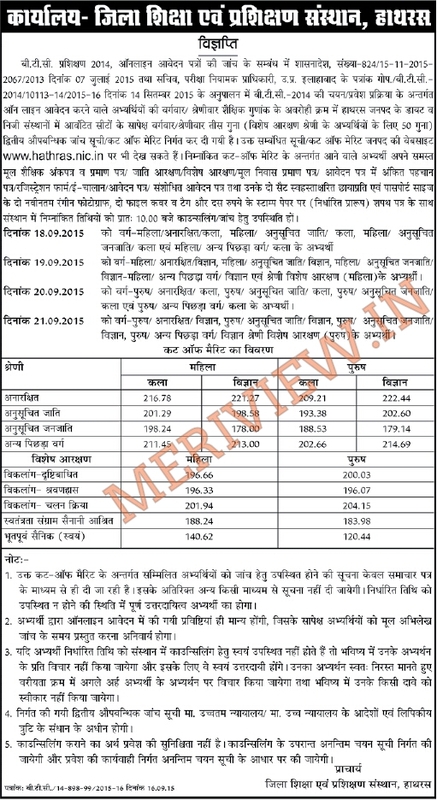 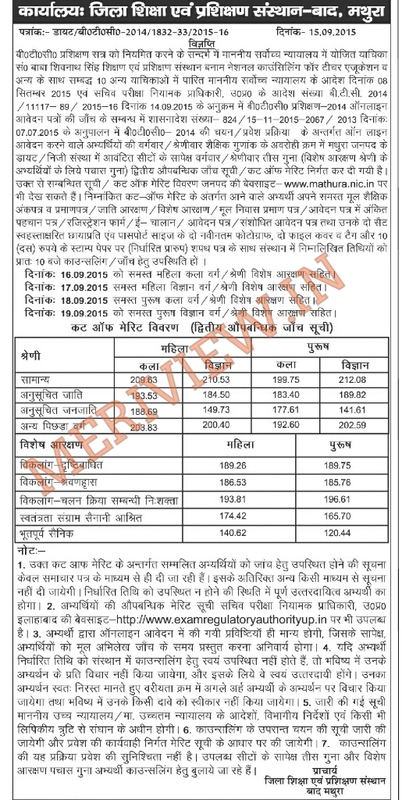 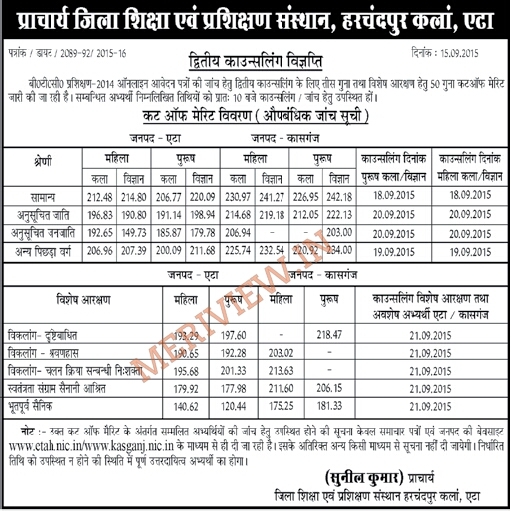 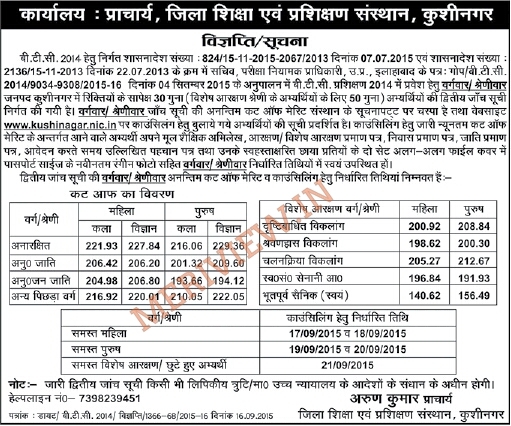 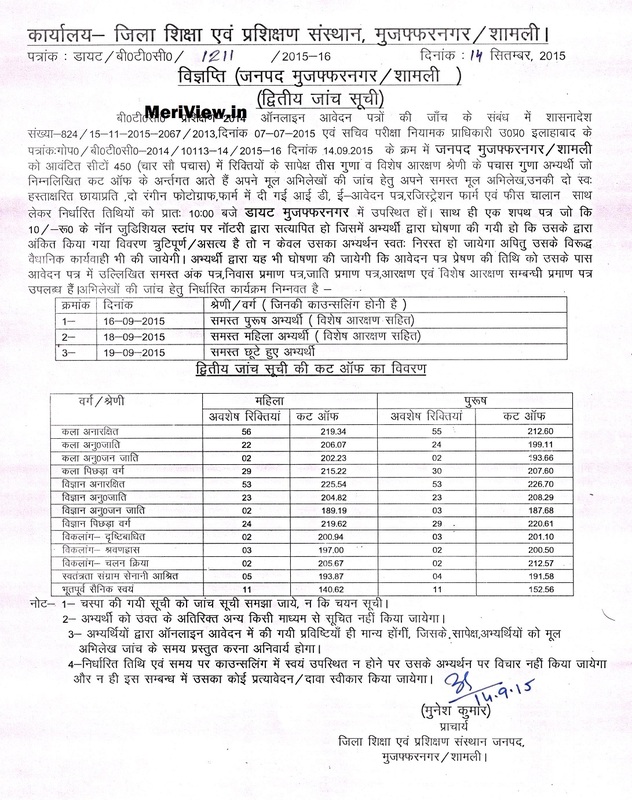 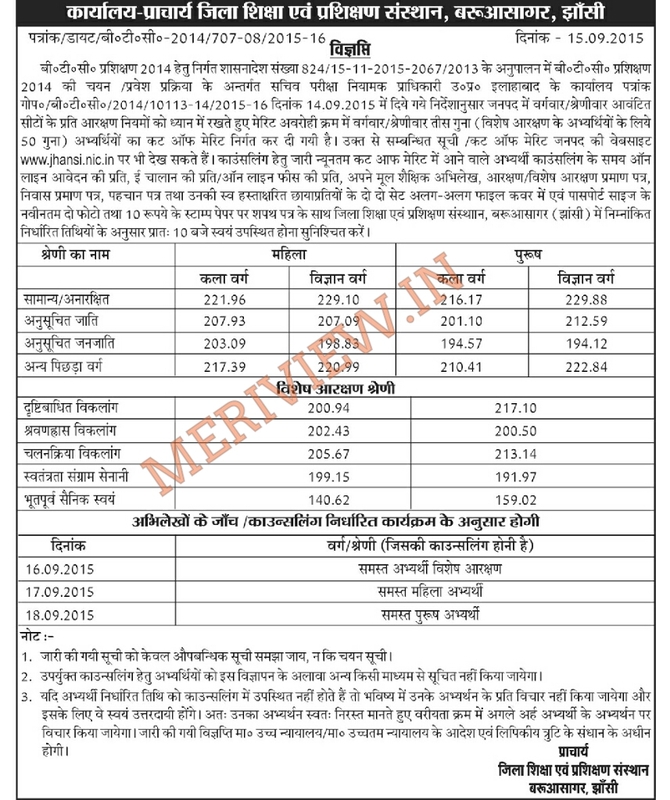 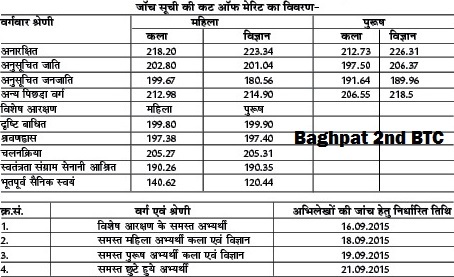 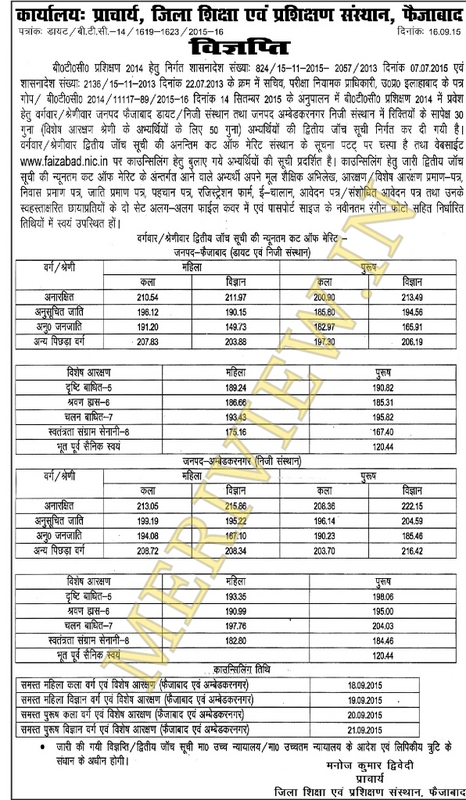 UP BTC 2014-15 Cut Off 2nd Merit list release date - The BTC 2nd Merit list had been declared for all districts of UP.The 2nd Merit list had been declared district wise. 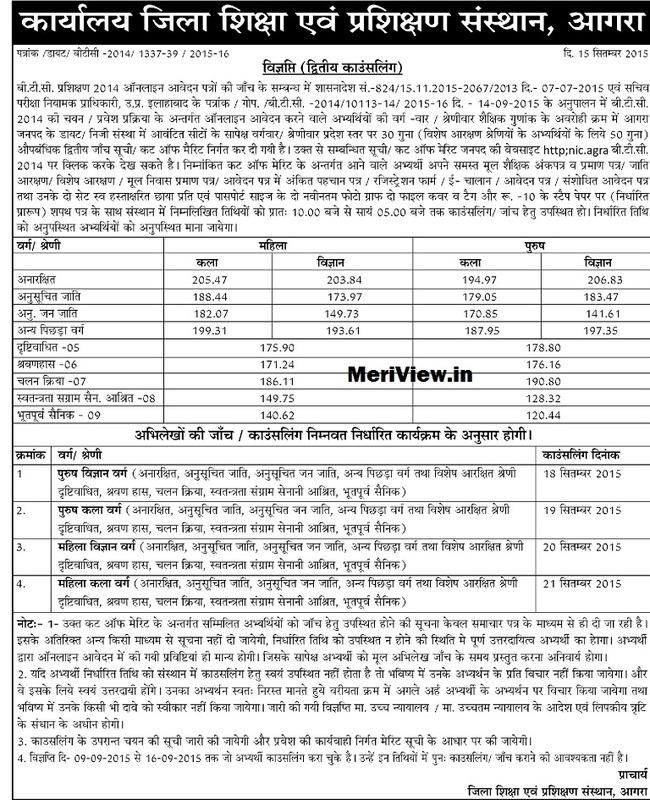 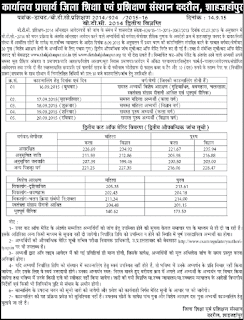 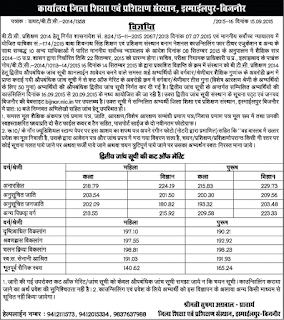 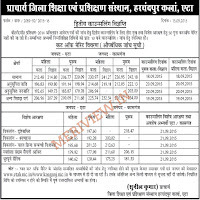 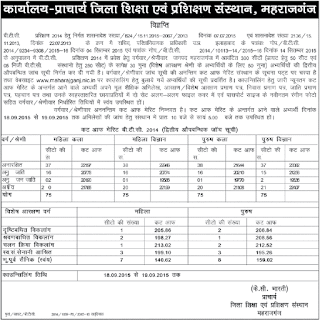 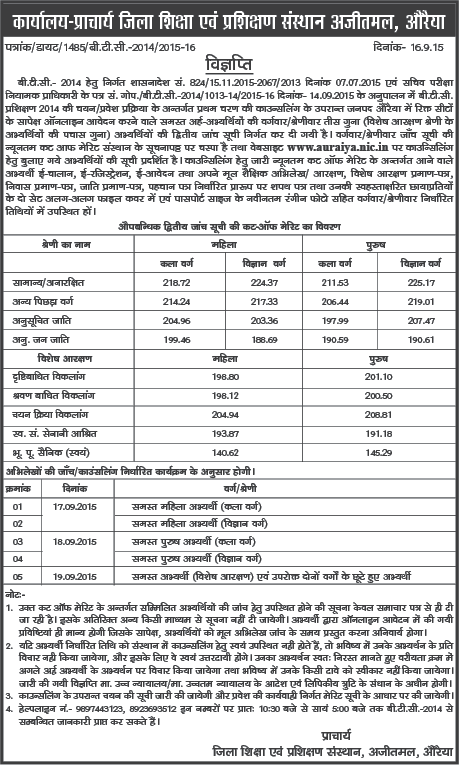 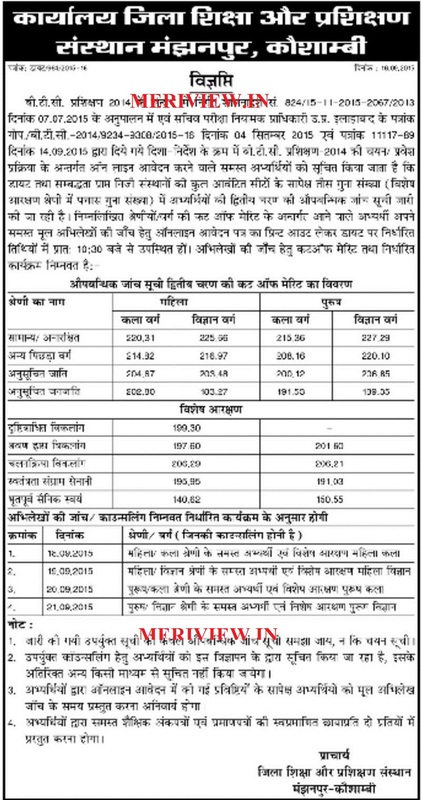 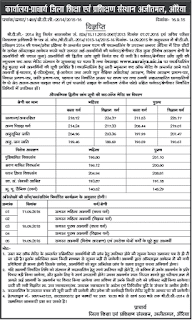 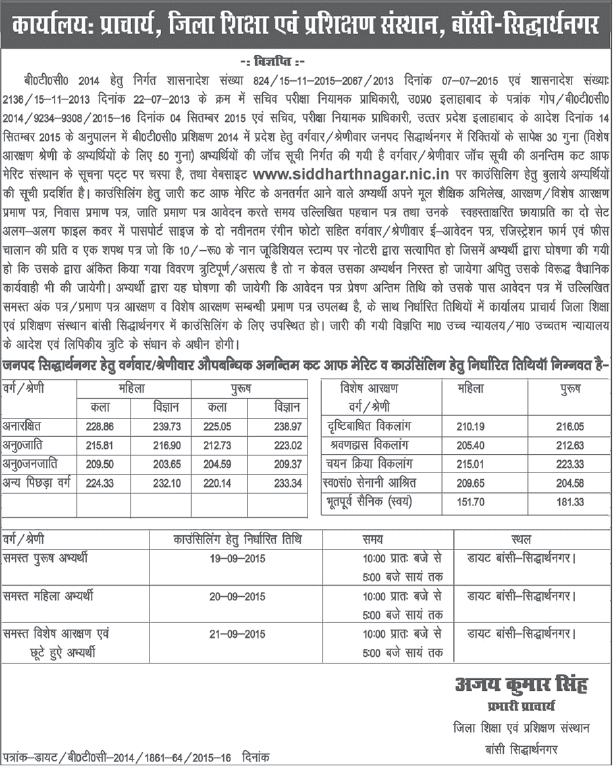 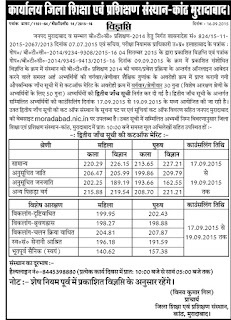 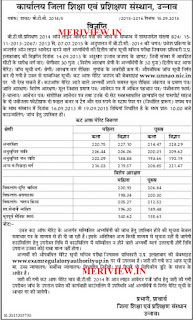 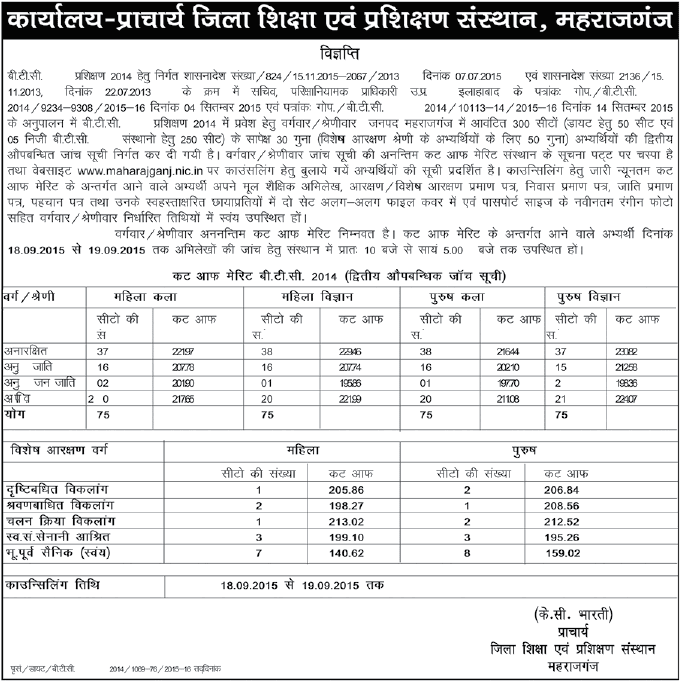 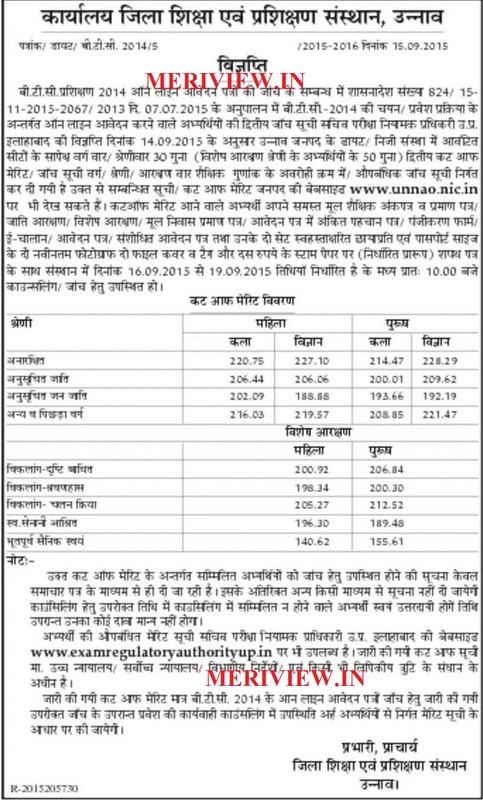 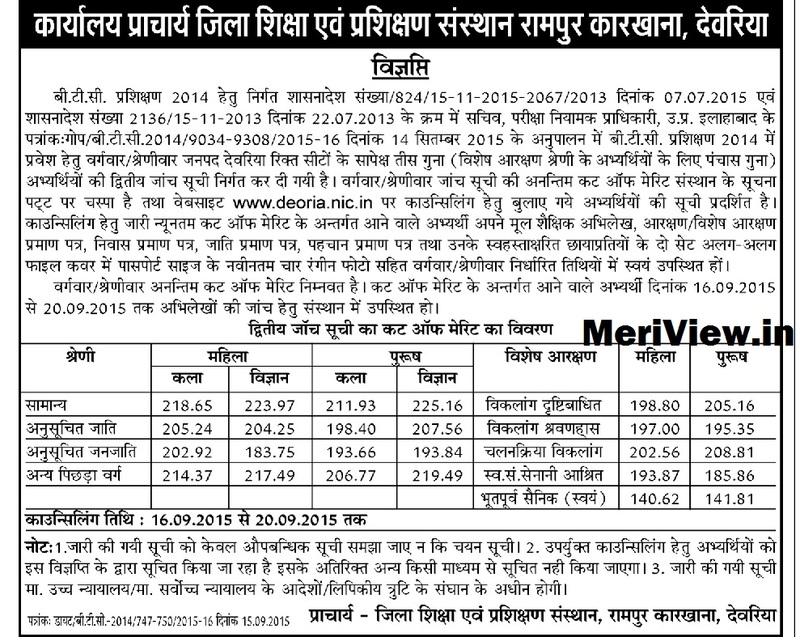 UP BTC Counseling Schedule 2015 - UP BTC Counselling 2014-15 will be held as per the schedule mentioned in the district vigyapti / press release given below.